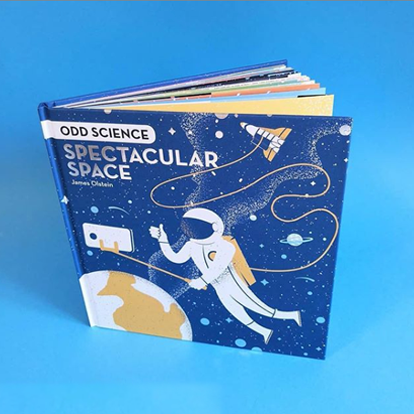 Odd Science: Spectacular Space is filled with weird and wacky facts that you’ve never heard before. Read about the first flower grown in space, wonder at the tallest mountain in the solar system and tell your friends that Saturn could float in water! There are facts about tortoises orbiting the moon, facts about Martian rocks here on Earth and facts about lightening bolts one and a half times as long as our galaxy!